Jo Cound Photography, Photography Workshops Scotland, photographic prints, Fine Art photos, Digital Training, Photoshop, Gift Vouchers, Raw files, Photography workshop, Photography Training, Book making, Darkroom, Traditional Printing, Photography perthshire, camera help, camera training. Postage & Packaging from £7.50 - £15 all sent special delivery for next day. Payment methods cheque, postal order or bank transfer. Original photographic prints are supplied mounted and signed. Mounts can be cut to size if you already have a frame. Each print taken on film has been hand printed in a traditional darkroom and hand finished by Jo to a high standard. Digitally captured images are printed by a professional lab on light sensitive tradtional photographic paper to a high standard. Image size from 2.5in x 4in up to 20in x 24in, larger prints available on request. Repairing old photographs that are torn and have straches. Scans £5 and Retouching charged by the hour. See commercial for examples at bottom of first page. B&W Developing and Printing Services also available, click here for more details. If you find an old colour or Black & White film I can develop it for you! I have had results from film that has been shot 50years ago, totally amazing durablity. If the film is very old colour process, it is only possible to get a B&W negative, I have done this with good results. One Day Sunday Photographic workshops £70 per person ~ maximum 4 people. Improve your image making skills with a One Day Sunday workshop. Each workshop will be looking at Close Up Photography or Landscape Photography, offering tips on the specific area with technical help and hands on advice about using your camera and getting better images. Depending on the time of year there will be lots of interesting things to photograph, including Bluebells, Butterflies, Flowers, Fungi, Heather on the hills and the beautiful Autumn colour. A special Sunday workshop making Cyanotype prints and making a Pinhole Camera and then taking photographs. Printing B&W / Colour £30 per hour ~ one person only. Fancy a day in the darkroom? 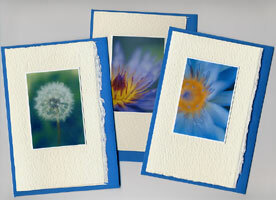 Jo is an experienced photographic printer of over 20 years and can help you get started. If you need to know the basics or if you want to refresh your skills. Materials provided, charged on usage or bring your own. Film development, contact sheets, printing from B&W and/or Colour Negatives making enlargments. If you are looking for specific plants or colour's please contact Jo for a more relevant selection. Images from the Library and Galleries are available for use. They will be supplied as transparency or high quality digital files.